With Memorial Day behind us and summer quickly approaching, it is important to remind yourself to break out your sunglasses whenever you go outside. 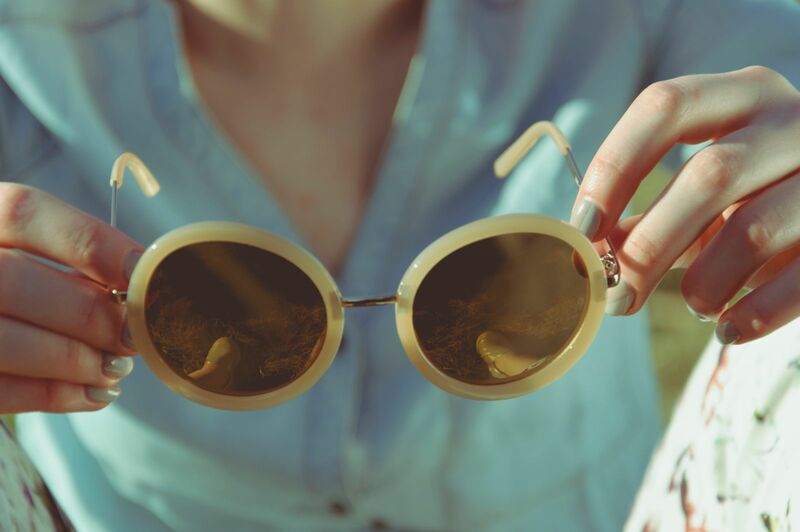 Your sunglasses should always block 100% of UVA and UVB rays. This ultraviolet radiation radiated from the sun can be harmful to your eyes. Be aware of visible light protection or how much brightness your sunglasses are blocking. Too much exposure to visible light can bleach your receptors and it has been found to impair night vision and color vision perception. Make sure your sunglass provide both UV and visible light protection. One without the other is like trying to eat a peanut butter and jelly sandwich without the bread. While you may still be getting some benefit, you aren’t receiving the maximum amount of protection possible. Make sure that you are buying your sunglasses from a reputable seller. Buying sunglasses from an eye care provider, brick and mortar, online department store, or specialty sunglasses shop can give you assurance that the product you are getting meets the necessary standards for proper UV and visible light protection. Protect your skin. The skin around the eyes is very thin and therefore susceptible to skin cancers. To help protect this skin from sun exposure it is important to choose a pair of frames that have large lenses. The larger the lenses the more protection your skin will have from those harmful UV rays. With National Sunglasses Day coming up on June 27th, make sure that you are informed and have the right sunglasses to protect your vision!